A total of nineteen Indian players, led by Team Pokerstars Pro Aditya Agarwal entered the Main Event here and three finished In The Money (ITM) with Romit Advani just missing the Final Table at tenth place for PhP424,000 (approx. US$9,500). Poker in India had very humble beginnings, much like anywhere else in Asia. The first experience of India in the game is when it was viewed on television as the World Poker Tour (WPT) was shown there in 2004. In 2007, India hosted its first international poker event with the Asia Poker Classic. Five years ago, the casinos in Goa began operating and finally Indian poker enthusiasts had a mainstream avenue to play. Craig Wildman, a British national who ran the first poker room in Goa’s renowned “floating” Casino Royale, is credited for a big contribution to the poker boom there as he was the first to organize poker tournaments. Locals finally had a chance to showcase their budding skills on the felt and eventually yielded quite a number of talented prospects with Agarwal being one of them. Agarwal, who finished 71st in the 2015 WSOP Main Event for US$96,000 and is a mainstay in the APPT circuits, is the first Indian on Team PokerStars Pro which is testament to the country’s rapid development in the sport. And while Agarwal may be revered as one of the moving forces of the game, he points out that a number of his countrymen are also making waves. Amit Jain, Aditya Sushant, Samil Agarwal, Danish Shaikh or Mutgal Dhaval have been among the more notable Indians on tour and it won’t be long before many more join them. 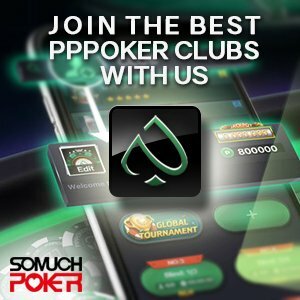 There are also a multitude of Indian online poker sites that are on the rise and have been sponsoring aspiring sharks in the major tournaments on the calendar. This factor combined with the true team spirit displayed by its players on the circuit is among the key contributors to India’s gradual climb in the scene. “India has a huge market which hasn’t peaked yet and I see that happening in a few years,” Agarwal surmises. Interview: Mike Kim making a move?